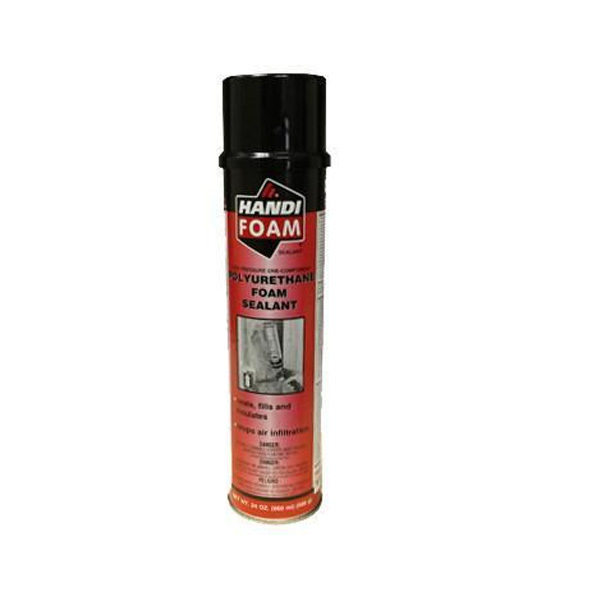 Handi-Foam® P30115 Gun Foam Sealant is designed to seal and fill small cracks, gaps, and voids. THIS Handi-Foam® sealant can be applied with either the HT300 or HT500 professional dispensing unit. The P30115 Handi-Foam® Gun Sealant is ideal for projects that require you to apply the sealant from day to day. Handi-Foam® Sealants cure when ambient moisture/humidity in the air reacts with the foam sealant creating a rigid, closed cell barrier against draft, noise, moisture and air infiltration. Handi-Foam® Sealants are tack free within 10 minutes and meet ASTM E-84 Class 1 for caulk and sealants.